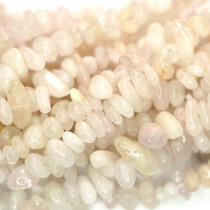 Morganite, also known as "pink beryl", "rose beryl", "pink emerald", and "cesian (or caesian) beryl", is a rare light pink to rose-colored gem-quality variety of beryl. 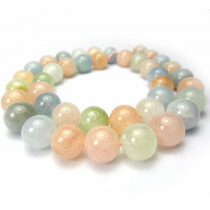 Morganite AA grade Gemstone Beads Round 8mm (~50pce Strand) - 40cm/16'" Strand. 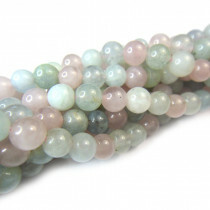 Morganite AA grade Gemstone Beads Round 10mm (~40pce Strand) - 40cm/16'" Strand. 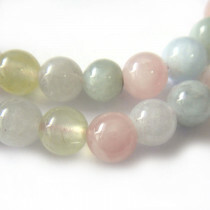 Morganite Gemstone Beads Round 6mm (~66pce Strand) - 40cm/16'" Strand. 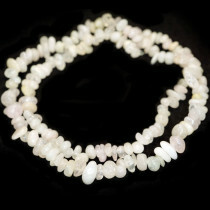 Morganite 5x8mm Gemstone Chip Beads (~95pce Strand) - 40cm/16'" Strand. 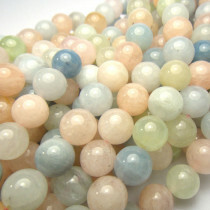 Morganite Gemstone Beads Round 4mm (~100pce Strand) - 40cm/16'" Strand.